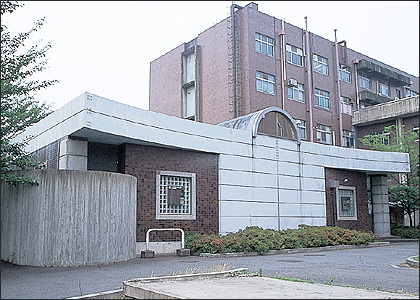 The Isotope Laboratory was founded in May of 1987. The laboratory is equipped with fundamental facilities needed to perform tracer experiments using eight species of radioactive compounds that had been approved to be used in the laboratory by the government agency, namely, compounds containing 45-Ca, 125-I, 32-P, 33-P, 35-S, 59-Fe, 3-H and 14-C, as of November 2002. Research projects cover physical, chemical and biological sciences and other scientific fields related to the improvement of the quality of human life. Faculty members and students are encouraged to utilize the facilities in the laboratory for advancing their fundamental and applied research once they fulfill the following conditions. One is to finish a special education program related to radioisotopes and to obtain a certificate. The other is to have a health check before one uses radioisotopes and to be approved as an authorized user of the laboratory.